Defense Attorney for: Robbery, Burglary, Grand Theft, Shoplifting, Petty Theft and all other theft-related criminal charges! Theft crimes are common in California; many people who are convicted of theft crimes are good people who made a bad decision. In some cases, the individual accused of the theft crime is the victim of mistaken identity or false accusations. If you have been charged with a theft crime, it is your right to obtain a criminal defense attorney immediately. In order to fight the charges against you successfully, speak with a veteran theft defense lawyer as soon as you learn of the charges. Under California Penal Code 487 PC, grand theft is defined as taking property valued at over $950. For example, if a person is caught stealing a $1,000 laptop from a store, he or she will be charged with grand theft. This crime is one of California’s wobbler crimes, meaning that a prosecutor can choose to charge the defendant with a misdemeanor or a felony, depending on the circumstances surrounding the crime. The higher the price tag of the item that was stolen and the more serious the crime, the greater the chance that the defendant will be charged with felony grand theft as opposed to a misdemeanor. If you are charged with misdemeanor grand theft, you stand to incur a sentence of up to one year in a county jail. If you are charged with felony grand theft, you stand to incur 16 months to three years in a county jail. Petty theft is a less serious crime than grand theft, but is still prosecuted harshly. Petty theft is defined under the law as the taking of property that is valued at less than $950. 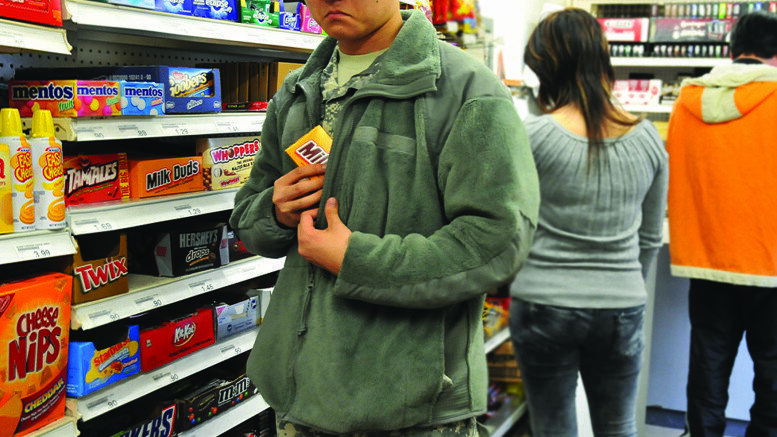 Shoplifting is a common form of petty theft. For example, if a person steals a $50 sweater from a department store and is caught, he or she will likely be charged with petty theft in the form of shoplifting. Both shoplifting and petty theft are considered misdemeanors under California law. For a first-time petty theft crime, a defendant will likely face up to a $1,000 fine and/or a six month sentence in a county jail. How high the fine is and how long the jail sentence is depends greatly on the value of the merchandise that is stolen. For example, if you are charged with stealing an item that is worth $900, you will most likely be facing harsher penalties than if you are charged with stealing an item that is worth $100. 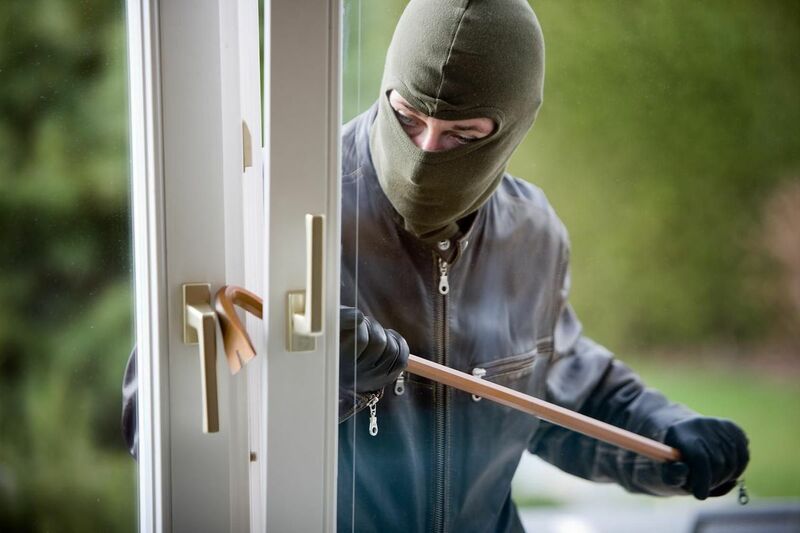 Many people mistakenly assume that burglary is synonymous with “breaking and entering;” however, the structure that the defendant enters does not have to be locked and “breaking” does not necessarily have to occur for burglary to be charged. Additionally, no crime actually has to be committed once the defendant enters the structure — only the intent to commit the felony must be present in order for burglary to be charged. For example, you could be charged with burglary if you go into someone’s garage and steal a lawnmower, even if the garage was unlocked or open at the time. Or, if you enter a mall with the intent to steal jewelry, you could be charged with burglary even if you are unsuccessful and never actually commit the theft. First degree burglary, or residential burglary, is a three strikes crime and is punishable by up to six years in a state prison. Second degree burglary, or commercial burglary, is not a three strikes crime but is a wobbler offense, meaning that the prosecutor can charge it as either a misdemeanor or a felony. A misdemeanor burglary charge can be punished by up to one year in a county jail. A felony burglary charge can be punished by up to three years in jail. Robbery is a serious crime under California law. Three things must occur for robbery to be charged. An individual must take property that belongs to someone else, either from their immediate presence or their person, through the use of fear or force. For example, breaking into a person’s house and stealing jewelry while they sleep would be considered a robbery. Also, robbery can be charged in cases of theft or burglary if the defendant uses force or fear in order to escape with stolen merchandise. 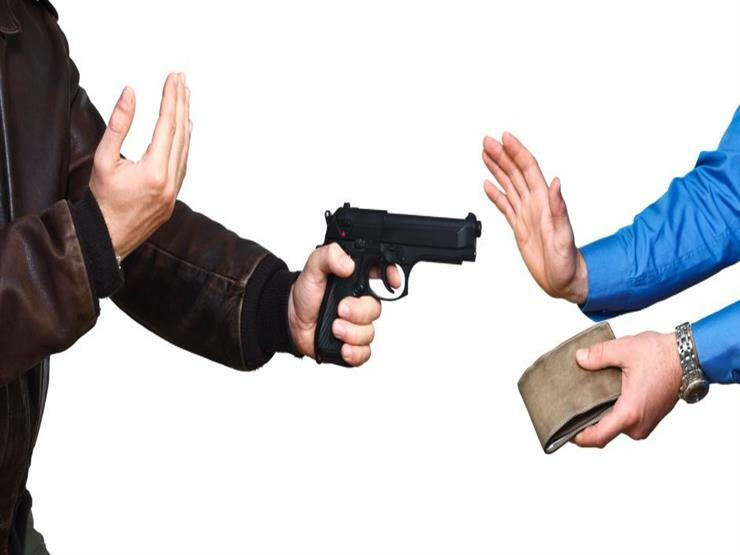 A robbery is charged as a felony, and there are two different kinds of robbery. 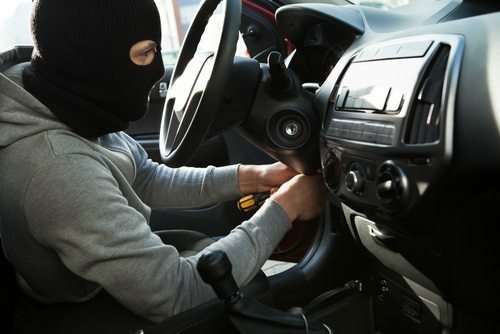 First degree robbery occurs in cases where a robbery is committed against a vehicle driver (such as a taxi or bus driver), or a robbery that occurs in an inhabited structure or against a person using an ATM. This crime is punishable by between three and nine years in a California state prison. Second degree robbery is charged in all other cases of robbery. The punishment for this crime is two, three, or five years in a California state prison. 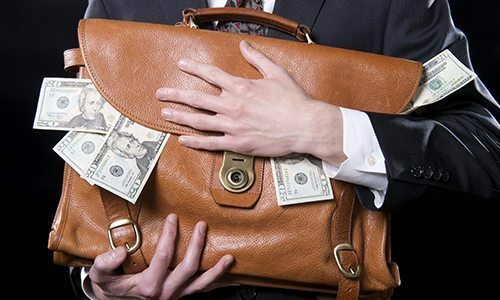 Embezzlement is often referred to as a “white collar crime” and occurs when someone fraudulently appropriates property or assets that have been entrusted to you but belong to someone else. Not all cases of embezzlement involve millions of dollars like the most highly publicized cases. In fact, embezzlement can be a charge faced by a blue collar worker who simply took a few hundred dollars from the petty cash fund he or she was responsible for managing. Embezzlement can be charged even in cases where the defendant was simply “borrowing” the money and never intended to keep it or fully intended to pay it back. Under California law, embezzlement is charged as grand theft if the amount of money embezzled exceeds $950, or the asset was an automobile or a firearm. It can be charged as a misdemeanor or a felony. Misdemeanor grand theft/embezzlement is punishable by one year in jail, while felony grand theft/embezzlement is punishable by up to three years in jail. When the amount of money embezzled is under $950, the crime can be charged as petty theft and is punishable by up to six months in a California county jail. If you are convicted of a theft crime in California, it can pose significant consequences. Not only will you be facing hefty fines and prison sentences, a conviction will show up on background checks, which are often done by employers and state licensing agencies. You may find it difficult to get a job even if the conviction has been expunged, and you may have trouble obtaining nursing, real estate or other professional licenses. When you are arrested for a theft crime, you have the right to remain silent and the right to contact an attorney immediately. Doing both are in your best interest. Don’t speak to law enforcement about the crime, even if you are pressured to answer questions about what happened. Ask to contact a criminal defense lawyer right away. Retaining an experienced theft defense lawyer who knows about the different areas of theft crime law in California is the first step you can take. An attorney can help to ensure that you’re building a strong case against the charges that will hold up in court. Jennifer Mouzis has had many successful victories when defending theft crimes and can bring her expertise and knowledge to your specific case. She will aggressively defend your rights and interests after fully evaluating your case and determining the best defense strategy based on your individual circumstances. Jennifer Mouzis will work hard to investigate your case and determine whether or not the prosecution really has enough evidence against you to prove that you are guilty of the crime you are being accused of beyond reasonable doubt. In cases where the prosecution has very little evidence, Attorney Mouzis will petition the court for the charges to be dropped or dismissed entirely. If there is substantial evidence against you, she will work to negotiate with the court and petition for reduced charges and the least severe sentence possible. You can be confident that Jennifer Mouzis will do everything in her power to ensure you have the best defense possible and will give your case the time and attention it deserves. Call today to schedule a consultation at (916) 822-8702!